Symlinks, short for symbolic links, are basically shortcuts to individual files or folders. 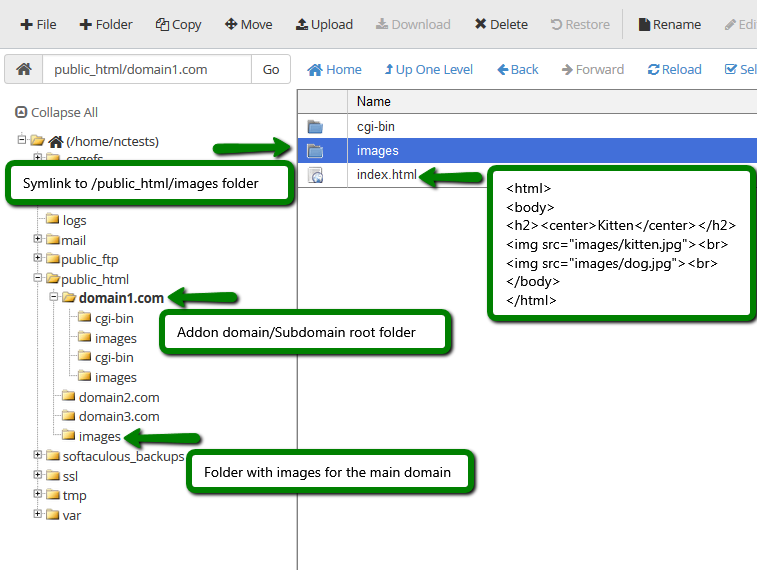 One of the advantages of a symlink is that it can cross filesystems, as it references abstract filenames/directories and not physical locations. 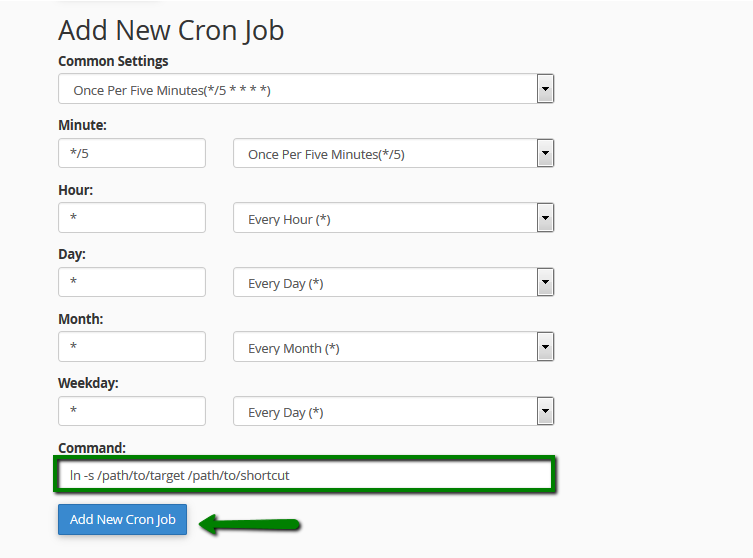 NOTE: Make sure that you delete the cronjob once the symlink has been created. 3. You can also create a symlink using the PHP function. Just run this PHP file in the browser and it will create symlink right away. As you can see, symlinks will help you to avoid duplicate content if you use the same files for multiple websites. NOTE: Creating symlinks to root directories of other websites may cause serious security breaches, that's why we highly recommend using symlinks only for those folders that do not expose any config or system files, as, if acquired, such files may be used for hacking or other malicious activity.